Description: This course provides clinical recommendation by experts in the field on when, why, and how a resin composite restoration should be repaired as opposed to being replaced. The ACE Panel report delivers the results of a study taken by 311 dentists surveyed on posterior composite restorations; bulk fill products vs. incremental products; top reasons to repair or replace a restoration. 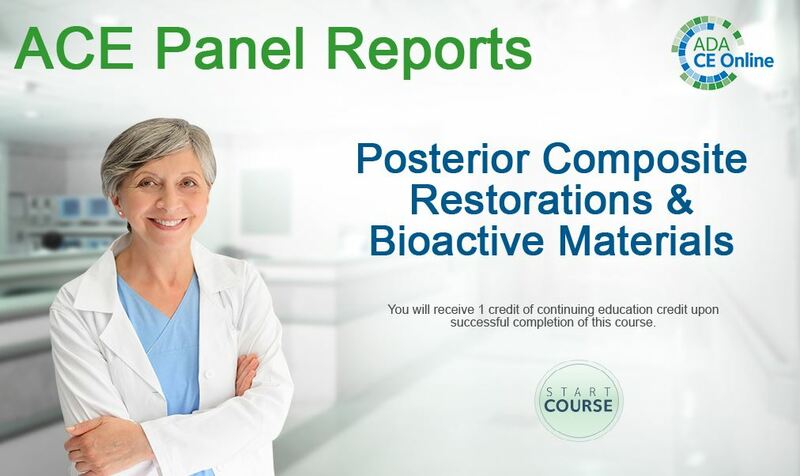 Description: This course provides a complete in-depth definition of bioactive materials as suggested by experts in the field and available literature on the topic.The ACE Panel report delivers the results of a study taken by 318 dentists surveyed on bioactive materials used as cements, as a liner or in restoration; most used products, and major concerns in adopting these bioactive materials.